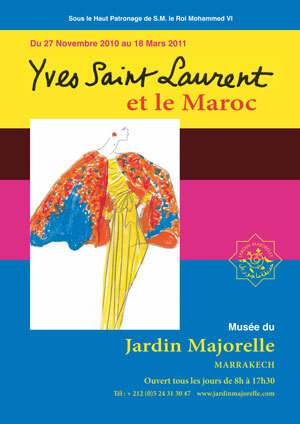 With all the talk about 1970′s YSL this season, we were thrilled to be able to visit the “Yves Saint Laurent et le Maroc” exhibit that his life partner Pierre Berge’ curated at the le Jardin Majorelle in Marrakech, an oasis he and his friends enjoyed together for the majority of his life. 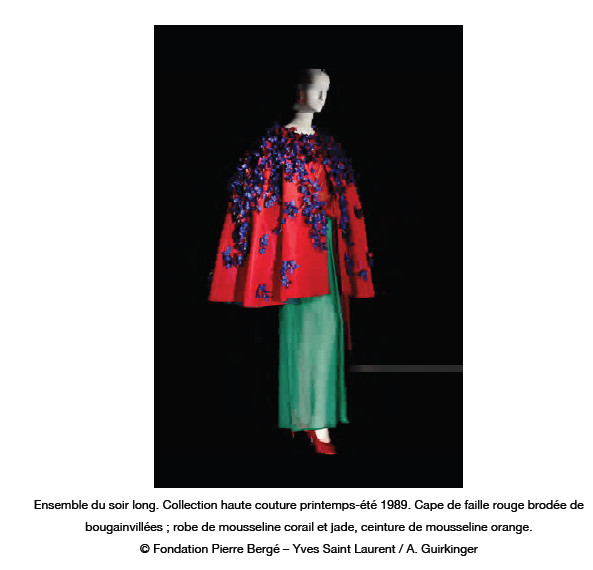 The exhibit was set up as an “homage of Love” to Yves, expressing sentiment about the designer as a person and a spirit foremost, with fashion surrounding the idea. 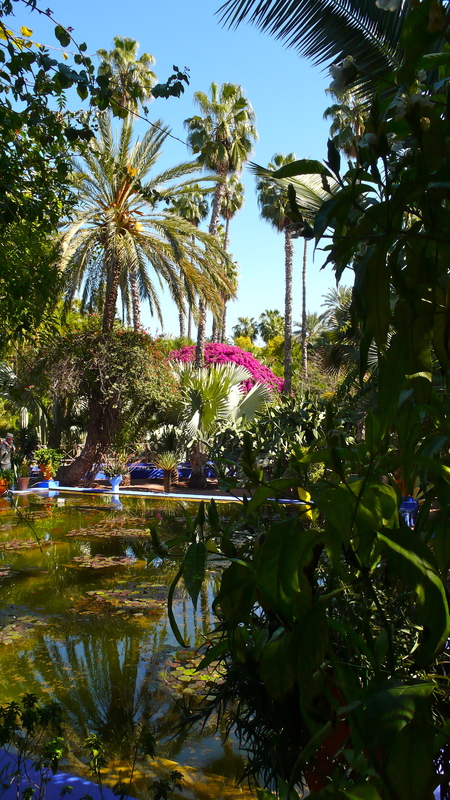 Pierre chose Marrakech to show the exhibit as it was their special place throughout the course of their life together. 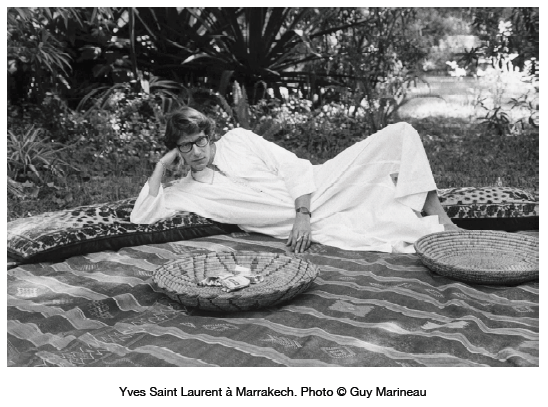 Yves felt most at home in Morocco and the spirit of the people and the culture fed his creative vision and nurtured his soul. 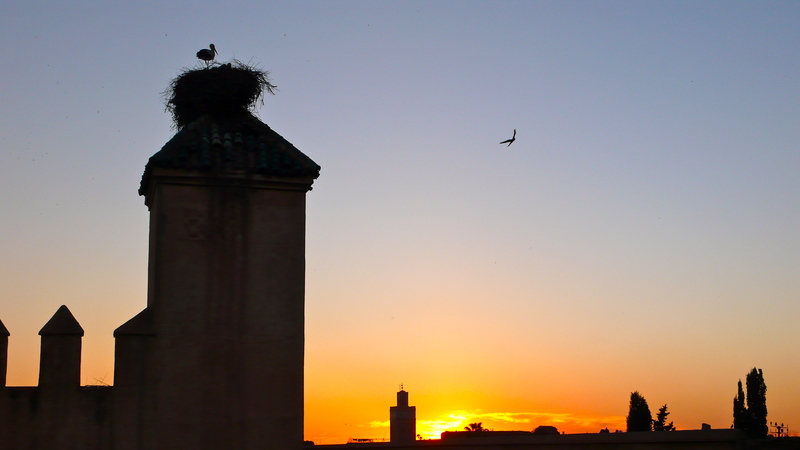 Morocco is a testament to the thought that “people make the place” with sincerity, warmth, hospitality and grace characterizing the soul of the country. The people have a great sense of humanity, pride and respect for not only one’s self, but for each individual (tourists included) which is found at every turn in this magical country. Every artist has their “special place” they go to and get inspiration for design as well as spirit. 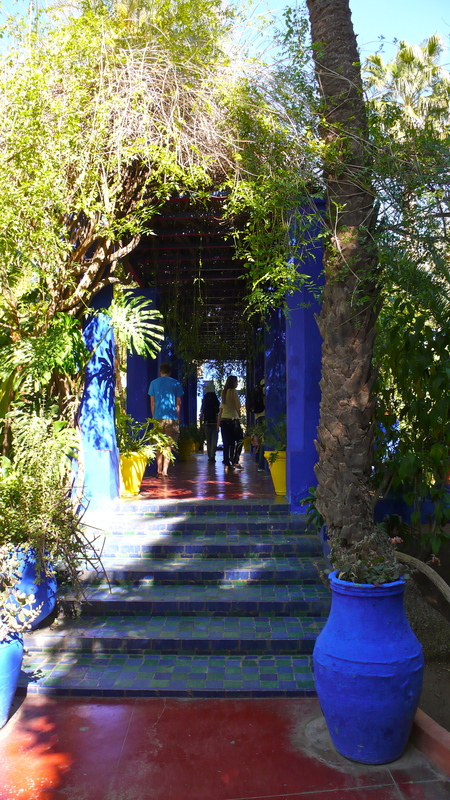 Morocco became this place to Yves and Pierre after their first visit to Marrakech in 1966. 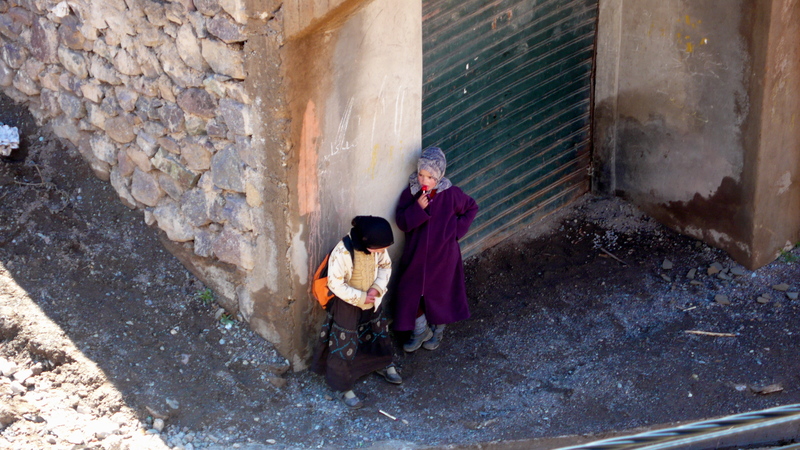 On the plane ride home, they were haunted by something about Morocco that they could not leave behind. 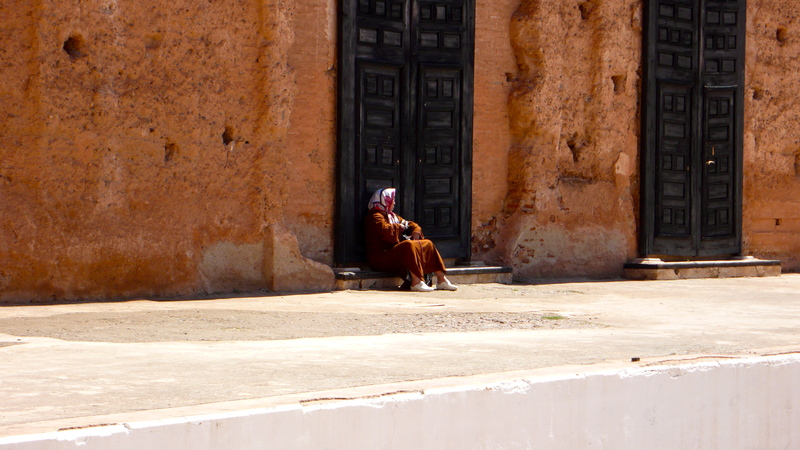 Wasting no time from the point of inspiration, they promptly bought their first home in the old city of Medina and thus began an inspiring relationship with this North African jewel. 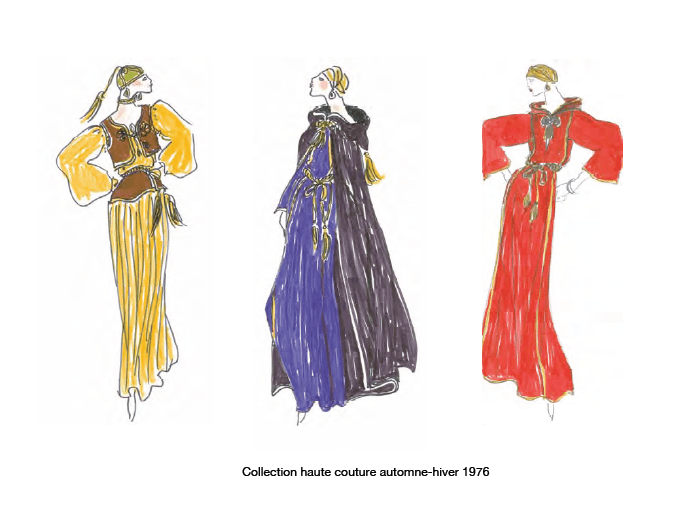 The spirit and vitality of the people of Morocco inspired Yves from a humanistic standpoint which then inspired his fashions. 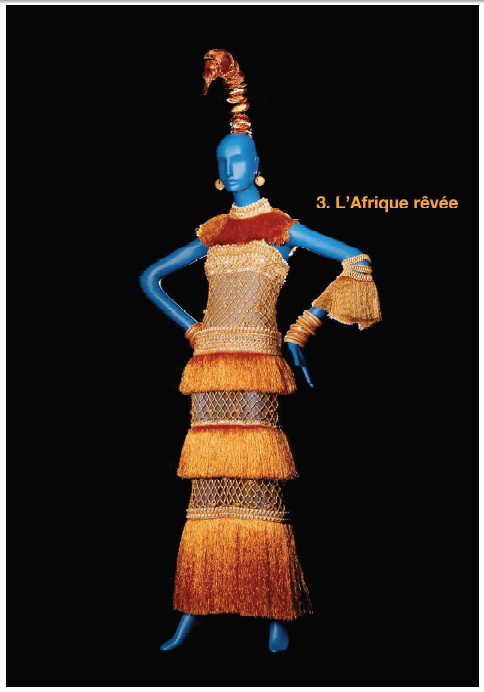 This exhibit walked the viewer through Yves’ world in Morocco covering his passion for the country as well as the designs that were inspired from his experience there. In addition to the warmth of the community in Morocco, there is no doubt that Yves was fascinated by the Maghreb’s traditional clothing (Maghreb is an Arabic word that refers to the mountains of Morocco and literally translates to “place of the sunset). 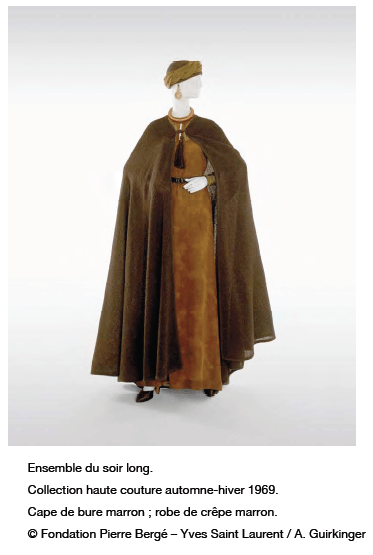 The fashion exhibit began with a strong Maghreb influence, including burnous (long woolen cloaks), sarouel pants, and plenty of embroidery. One room in the exhibit created an environment using dimmed light and mirrored ceilings and walls which reflected endless stars and infinite angles of Yves’ strongest creations which was an amazing reflection of the magnitude of design inspiration he gathered here. 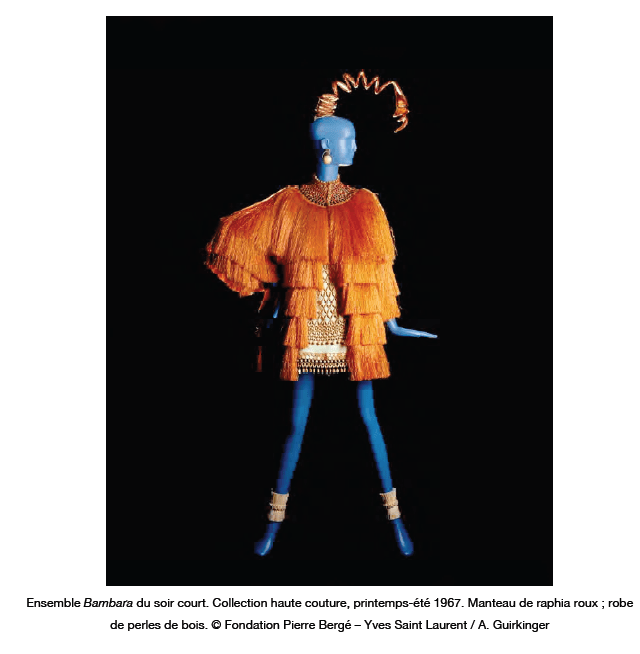 The final room of the exhibit ushered the viewer into Yves’ inaugural exploration of color. 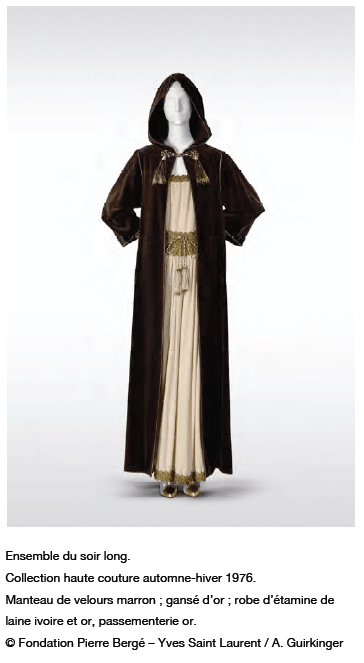 Up until this point in his designs, his palette had remained neutral. 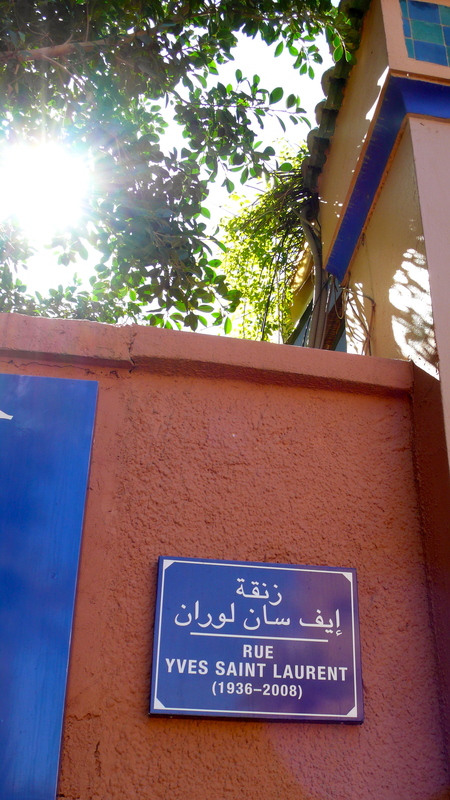 His visceral connection to Morocco changed that. 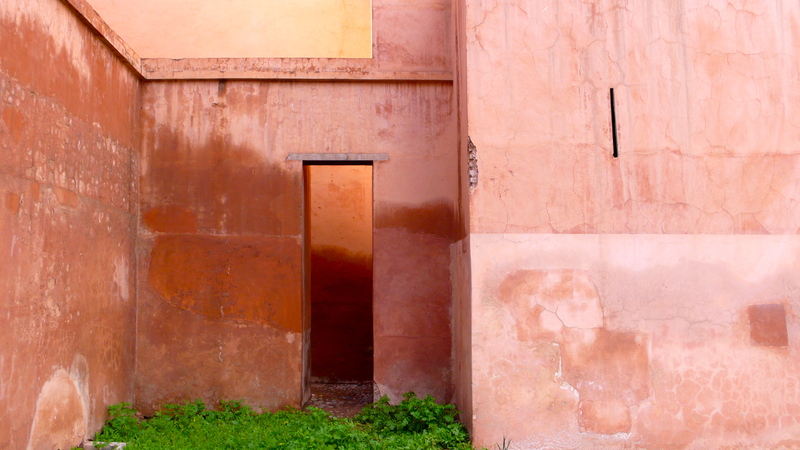 The Moroccan colors that Yves drew from directly, are as intensely warm and rich as the Moroccan people. 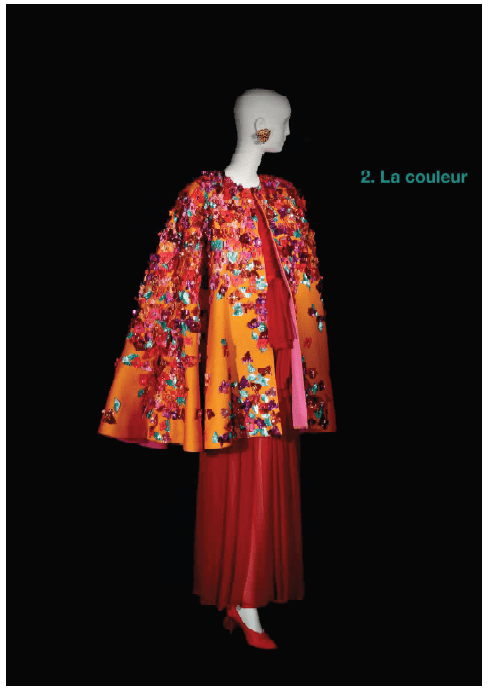 Bougainvillea embellished capes in shocking reds, pinks, and oranges…hoods, soft drapery, and turbans of deep blue and green jewel tones. 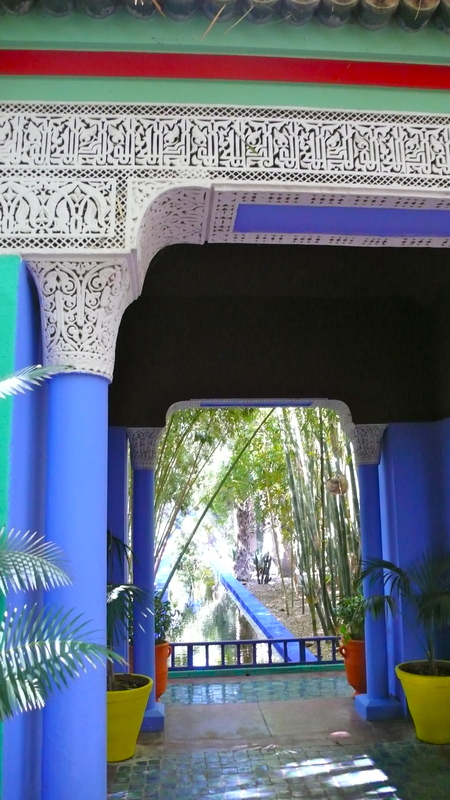 All the same colors that we are seeing for Spring 2011(Marc Jacobs collection) are very much inspired by these designs and Yves’ connection to Morocco. 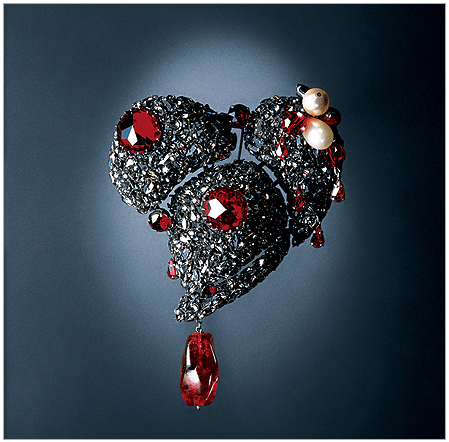 The emotional and personal tour came to a close with Yves’ heart on display, Le Coeur- the legendary pin that appeared in each of his shows on his favorite garment within the collection. So while we all crave new fashion and design, Yves Saint Laurent humbly reminds us that compassion and respect reign above all. 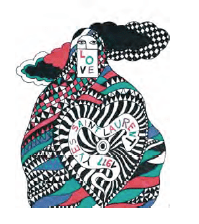 Love is the key to life.